Are you there for your kids? Really there? Or are you just going through the motions? 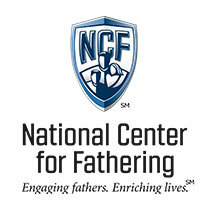 The National Center for Fathering shares how all dads can establish a consistent presence in their children's lives. Are you there for your kids? Really there? Or are you just going through the motions? I want to share with you how dads—even divorced dads—can establish a "consistent presence" in their children's lives. For too many fathers, home is where they eat, sleep, and do their best to keep the noise level down. Day-to-day parenting is often left to their wives. These dads have convinced themselves that their presence or absence has little impact on the family. Well, you and I both know, they're wrong. Your children are very aware of you and your habits, your actions, your temperament and even your level of commitment to them. It doesn't matter if you're tinkering in the garage, reading the paper in your easy chair, or calling home from Boston. Your presence is felt deeply. Many single moms have noted, that even when a father dies or deserts his family, his presence is felt as if he were still there. Every day there are decisions to be made, crises to handle, and wounded egos to soothe, and Dads have a role in each one. Obviously, you can't take care of a skinned knee when you're in a board meeting or on an assembly line, but you can still connect with your wife every day about each one of your children—even if that means calling home from Boise just to ask "How's Joey doing?" Your children need to know that you know. They care that you care. And, dad, divorce makes it even more challenging. Being limited to occasional visits and long-distance calls is tough and unfulfilling at best. Divorce breeds insecurity in children and their non-custodial parent. Your first priority is to be consistent with your scheduled custody visits and child-support payments. After that, extra calls, notes, and remembering the things that are important to your child can give you a rock solid "presence" in their life. And, you know what? That's good advice for all dads. We need to be there for the routine—building patterns, traditions, and memories. But we also need to be aware of things that are out of the routine – recitals, big games, tough classes, favorite toys, romances, break-ups, fears, hopes and dreams. Dad, one the best presents you can give to your family is your "presence." What if My “Ex” Won’t Hold the Kids to the Same Rules? Teens Love Celebrities–Can Other Role Models Compete?